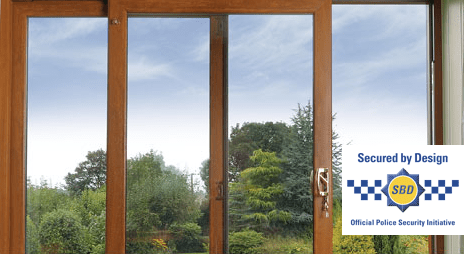 Choosing the right patio door is vitally important. You want a design that will blend easily into your existing building whilst still making a strong visual statement. The Ultimate patio door provides all this and more. The unique low-profile design ensures your room will feel instantly brighter and uplifting, bringing the outside in, creating a whole new living experience. But it’s not just the visual appeal that sets the Ultimate range apart. Our patio doors represent the highest level of security available for in-line patio doors and have been designed to meet the exacting requirements of the Police’s ‘Secured by Design’ initiative. Every patio door features a new six point lock with pincer-action hooks, Yale anti-bumping cylinder, an improved security handle and a set of interlock protectors and spring bolts that combine to make the most secure patio door you can buy.